Platform can be found on the Mul-T-Lock ID card. Keyway is usually located on the bottom left or top right of the Key Cutting ID Card (ex. 206S). Pay attention to the platform as well (ex. Interactive+). Required for ClassicPro, Interactive & Interactive+ keyways! 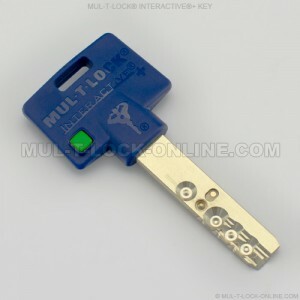 Mul-T-Lock’s Interactive® key design has long been a distinguishing facet of our commitment to high security. The key’s robust and durable design, coupled with Mul-T-Lock’s Interactive® technology, set the Interactive® key apart from the rest. Provide all necessary information from your personal key card to get additional keys for your existing lock or cylinder. Keys are non-returnable. Order cannot be canceled after it's been fulfilled. Please contact us to get RMA. Products must be shipped out within 3 business days after getting RMA.